Do you need an adventure? Or how about going to the place you’ve always wanted to visit? Bucket lists are great to use, even as a tracking tool to look back and see some of the things we’ve done in our life that we may have forgotten about. The list doesn’t have to be filled with insane death-defying acts, it can be full of places to go and see that are a lot more peaceful and enjoyable. What makes it a bucket list item is that we just don’t write these things down and forget about them. A bucket list item is something we really set out to experience. Here’s a list of things in Northern California and Northern Nevada to add to your life’s wish list. Your bucket list MUST include a trip to Yosemite. One of the most spectacular places in the world. Mother Nature shows off here. 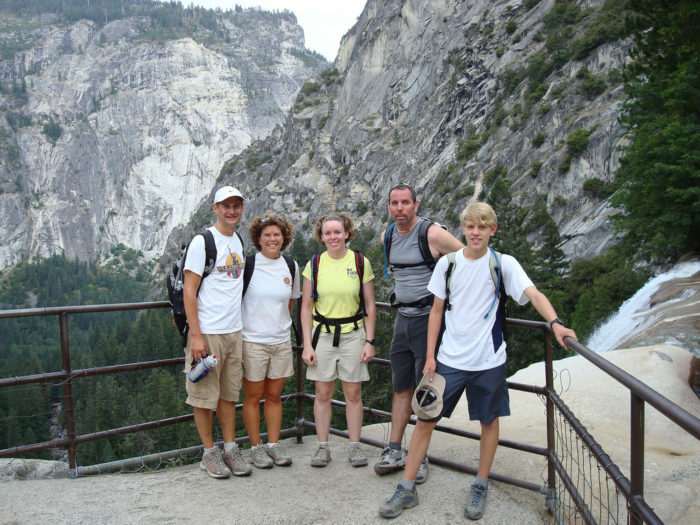 Take the family and climb Half Dome. But, make sure to take a photo before you really get started. You might not be as pretty by the time you reach the top. 2. Ride a roller coaster for one in Lake Tahoe. Nestled in the beautiful region of Lake Tahoe sits a skier’s paradise Heavenly. The resort felt inclined to offer more to their summer guests which manifested as a very popular European roller coaster to call our very own. Although Ridge Rider Mountain Coaster serves as an awesome Summer activity, the views can be just as breathtaking in the winter, as you can see from the video above. 3. 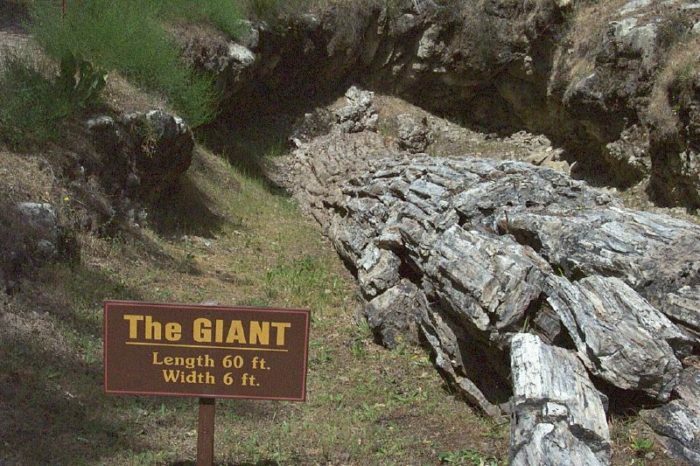 Explore this Petrified Forest in Calistoga. This is Northern California’s ONLY petrified forest. Most folks stumble across it when they’re driving from Napa to San Francisco. Most of these type of trees are found in the desert states, but this one is all ours. 4. Visit the 8th wonder of the world. 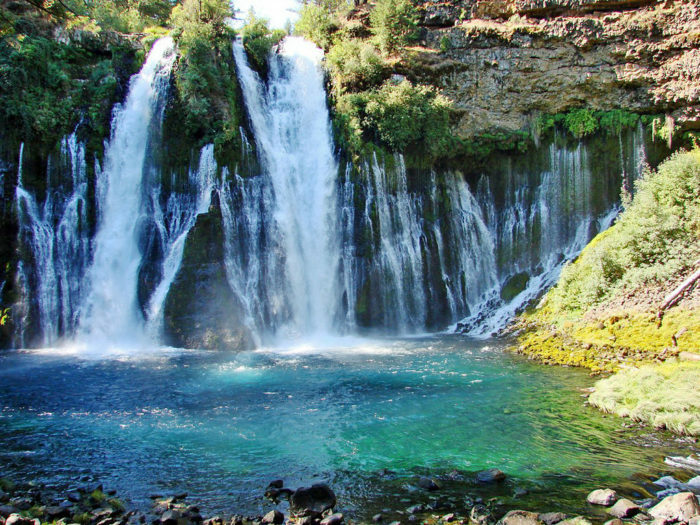 Teddy Roosevelt called McArthur-Burney Falls the 8th wonder of the world. Some folks would agree. That’s why it’s on their bucket list. Feel the mist from Burney Falls. Great views of the falls are accessible right from the parking lot, while a short easy hike takes you to the base. A 1.3 mile trail circles the falls. 5. Check out the unique ecosystem of Mono Lake. Nestled at the edge of the arid Great Basin and the snowy Sierra Nevada mountains in California, Mono Lake is an ancient saline lake that covers over 70 square miles and supports a unique and productive ecosystem. The lake has no fish; instead it is home to trillions of brine shrimp and alkali flies. Freshwater streams feed Mono Lake, supporting lush riparian forests of cottonwood and willow along their banks. Along the lakeshore, scenic limestone formations known as tufa towers rise from the water’s surface. Millions of migratory birds visit the lake each year. Mono Lake’s unique ecology and its location at the edge of the Sierra Nevada and the Great Basin combine to create stunning scenery. Great photos are possible every day of the year, and you can see more at the Mono Lake Committee website. 6. 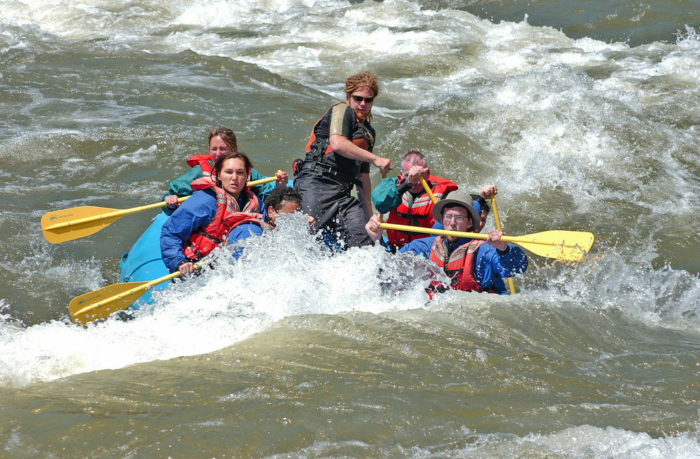 Whitewater raft on the American River. 7. 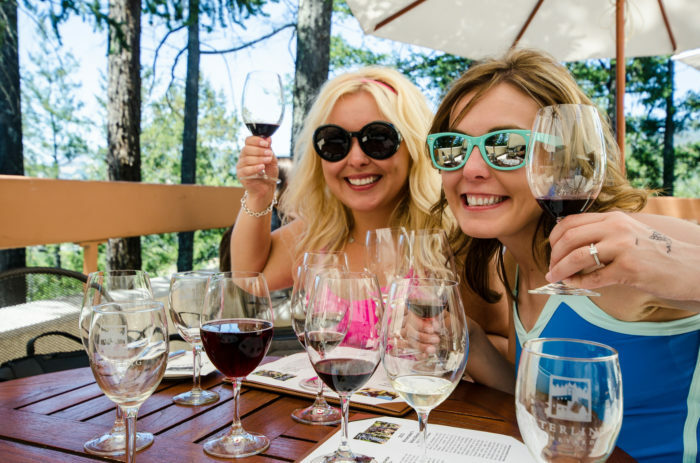 Visit Napa Valley and go wine tasting! With over 400 wineries in this part of our state you MUST come here at least once in your lifetime. If you want to up the fun then take the wine train with your significant other and enjoy a five-course meal on a sunset train ride through the valley! 8. 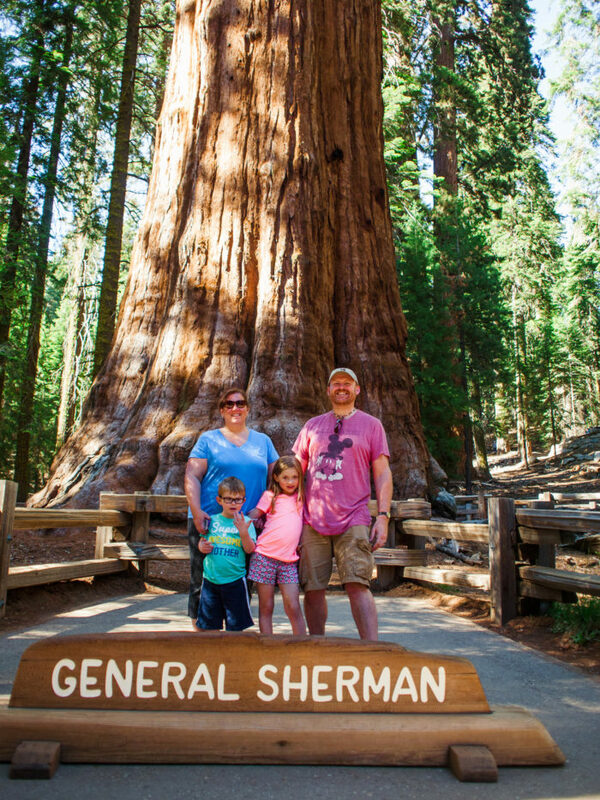 Give General Sherman a hug. Redwood trees are a piece of your bucket list you have to do. This one is over 275 feet tall and when you walk around the Sequioia National Park for awhile you’ll feel like a teeny, tiny ant. It’s pretty amazing. 9. Have a Treetop Adventure in Tahoe. At its peak, Virginia City was a thriving, vibrant metropolis of 25,000 citizens. Silver and gold was buried deep beneath her streets and men and women traveled from around the world to live and work. Miners pulled millions of dollars from shafts and tunnels 3,000 feet beneath the city. The spirits of those Comstock “originals” still inhabit the places where they once worked, lived, worshiped, were educated, and died. Today, visitors to Virginia City can walk with these past residents in the shadow of Sun Mountain. Don’t forget to pack your passion and imagination for your step back in time. See more here. 11. 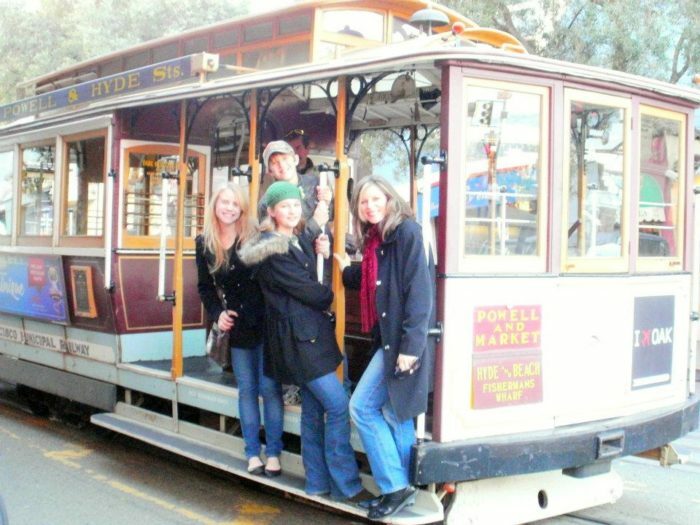 Ride a cable car to the wharf. You can’t leave San Francisco and NOT ride a cable car. We’re pretty sure that’s a bucket list felony. You may have thought skydiving is a given with any bucket list, but how about indoor skydiving? Whether it’s because it is a safer alternative to the real thing, or because it just plain looks cool, watch the video and you’ll definitly want to go. iFly has locations in Sacramento, and San Francisco, so the experience could be a lot closer than you think. 13. Visit Devils Postpile – A National Monument California. Established in 1911 by presidential proclamation, Devils Postpile National Monument protects and preserves the Devils Postpile formation, the 101-foot high Rainbow Falls, and pristine mountain scenery. The formation is a rare sight in the geologic world and ranks as one of the world’s finest examples of columnar basalt. Its columns tower 60 feet high and display an unusual symmetry. It is truly a remarkable landmark! 14. Kayak on Lake Tahoe. 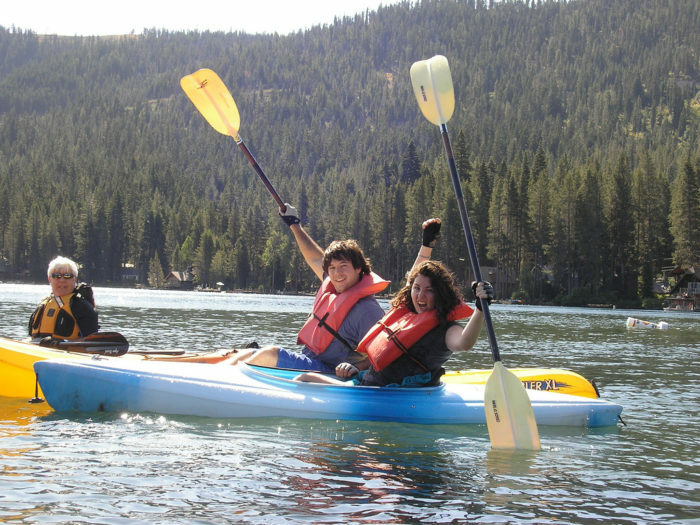 We’re pretty sure Lake Tahoe is one of the most spectacular bucket list items to enjoy. Kayak on the lake early in the morning when the water is like glass. There’s nothing like it. 15. 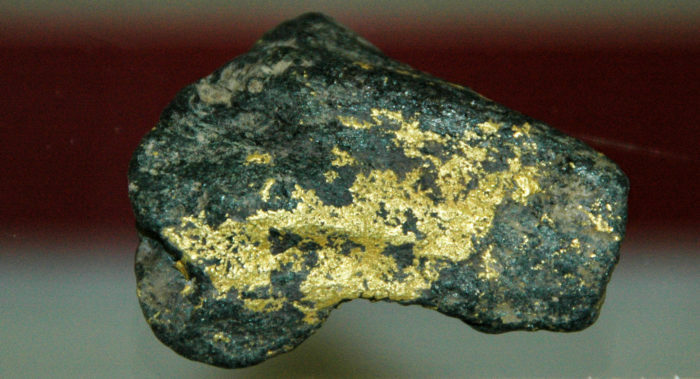 Pan for gold in El Dorado County. Enjoy panning for gold along the American River in the tiny town of Coloma where gold was discovered. OR, head to Gold Bug Mine in Placerville. Either way you need to get your gold on! Some of these I’d do, others I’d watch. As far as Half Dome goes, my knee would stop me, but I could watch others climb it.